Michael Thompson needed to make up some ground in order to make the cut at the HP Byron Nelson Classic after his first round left him in a tie for 117th. Michael's second round tee time was the latest in the day. Harsh windy conditions meant that before he had even teed off he had climbed up the leadaerboard within reach of the cut line. Despite the windy conditions, Michael drove the ball extremely well. In fact, he hit 12 of 14 fairways over the course of the day. Through the first seven holes, Michael was one under par and within the cut line by one shot. On hole #8, Michael had a short putt for a par but he was on an extreme side slope. He missed the putt and as he went to make his bogey putt, the ball moved after he had grounded his club. Michael called a penalty on himself which resulted in a double bogey and moved him one shot on the wrong side of the cut line. He shot even par over the next nine holes which included two birdies and two bogeys. He remained one shot outside the cut line heading into the 18th hole. Unfortunately, a birdie was not to be and Michael ended up missing the cut by two after making bogey at the last. Next week Michael will be competing in his second Nationwide Tour event of the season when he travels to College Park, Maryland to compete in the Melwood Prince George's County Open. It's been a busy golf week for Michael Thompson and a busy weather week for the Dallas/Fort Worth area. On Monday, Michael competed in the 36 hole International Qualifier for the British Open. A series of storms shortened the 36 hole Qualifier to just 18 holes after a long weather delay interrupted the first round for several hours. Unfortunately for Michael, the shortening of the Qualifier and subsequent delays didn't help his qualifying chances after opening his round with a double bogey in the adverse conditions. He ended the round at 3 over par and in a tie for 48th place. Only 8 players advanced into the British Open field. On Thursday, Michael played his first round of the HP Byron Classic in Irving Texas, just two days after more violent storms dropped golf ball sized hail on the area. The greens were pock marked with hail damage but the greens crew spent the 24 hours leading up to the first round patching and re-rolling the greens in an effort to eliminate the divots. Michael shot a 3 over 75 on Thursday which leaves him in a tie for 117th going into the second round. He'll need a solid second round to make the cut in the 156 player field. 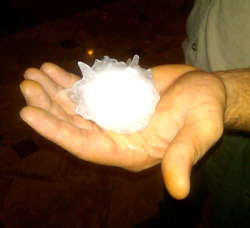 An example of the size of the hail that fell on the Dallas-Fort Worth area Tuesday night. Michael's second round will tee off from the 10th hole in the last group of the day at 1:54pm local time. The following links can be used to follow Micahel's second round. 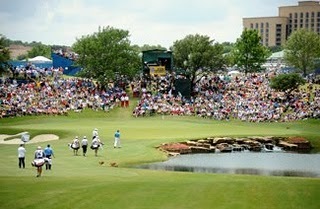 The HP Byron Nelson Classic tees off today from the Four Seasons Resort Las Colinas in Irving, TX. Michael tees off at 9:09 AM. International Man of Mystery No More! 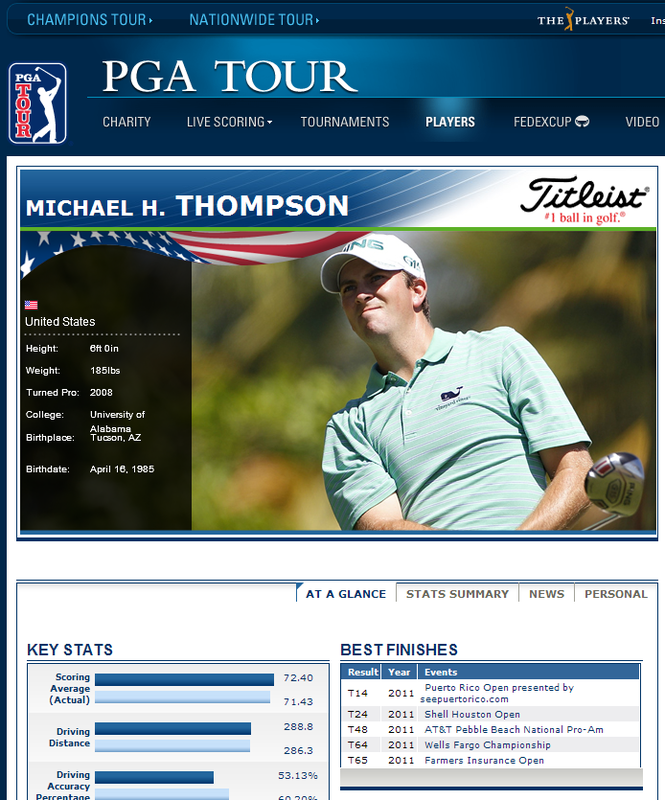 Michael's profile page on the PGA Tour website has finally been updated with a photo. And get this... it's actually a photo of Michael himself! It only took 20 weeks into the season, but hey who's counting. Unfortunately his "Personal" tab is still blank, so there's still some room for improvement. Early in the season, Roz saw it filled in with his information, but it quickly disappeared. Hopefully that will return soon. His clothing sponsor, Vineyard Vines will be happy to know that he's sporting their whale logo in the photo, and his long-time golf club sponsor, Ping is also featured. For followers of this website you may remember that Michael's photo was once blank, and then several weeks ago was replaced with a photo of a random golfer. The photo was taken on March 12, 2011 during a practice session at the Puerto Rico Open. It is part of the Getty Images collection of photos. Check out the updated profile page here. Michael Thompson shot a four under par over 36 holes to advance through the US Open Local Qualifier in Durham. North Carolina. Michael now advances to the Sectional Qualifier stage which will be held on June 6. The Local Qualifier in Durham featured 120 golfers competing for nine spots (and two alternate spots) in the US Open Sectional Qualifying rounds. Michael's four under par was good enough to tie for 3rd and advance. Advancing through the Local Qualifier allows Micheal to compete in one of the 13 US Open Sectional Qualifiers. The Sectional Qualifiers are 36 hole hole events and will be conducted at two international sites (May 23 in Japan and May 30 in England) and 11 sites spread across the United States on June 6th. The Sectional Qualifiers feature roughly 750 golfers competing for somewhere around 75 spots. Sectional Qualifiers advance into the 11th US Open Championship at Congressional Country Club in Bethesda, Maryland the week of June 16th. This is a "good news" - "bad news" story. 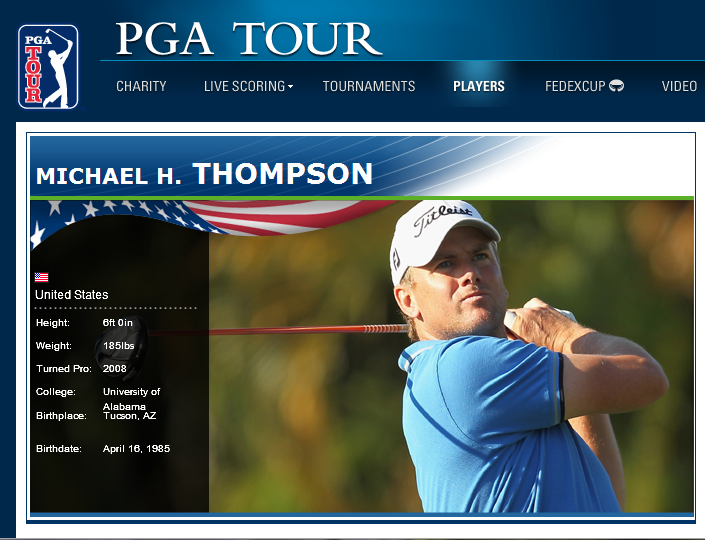 The "good news" is that after much prodding, the PGA Tour has updated Michael Thompson's profile page on www.PGATour.com with a photo. The "bad news" is that unless Michael has changed his appearance drastically in the last couple of days, the photo isn't Michael. 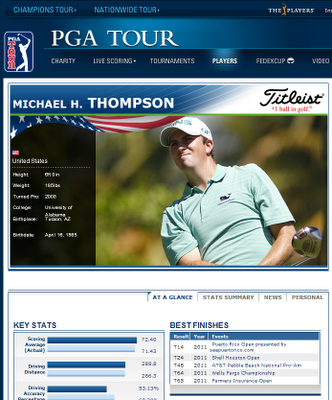 Here's a snaphot of Michael's profile page as of May 9, 2011. The PGA Tour has finally found a photo for Michael Thompson's profile page. The original "picture-less" version of Michael's profile page can be seen in one of our old posts here. 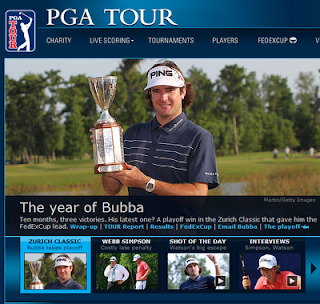 We've also been looking for the PGA Tour to provide a profile picture in the iPOD and Droid versions of the PGA Tour mobile application (the iPad version has it) but as of this post they are still missing. On the bright side nobody can say that they are wrong. Update: I've since discovered that the same photo can be found on other rookie's pages. I checked Scott Stallings and Andres Gonzales and they both had the same photo. This begs the question: Who's photo is it? After posting two under par rounds at the Wells Fargo Championship, Michael Thompson had a difficult front nine on Sunday and finished his fourth round at 5 over par. At the end of 72 holes Michael was one over par and tied for 64th. After shooting 4 over par on the front nine on Sunday, Michael rallied on the difficult back nine and was under par from the 10th hole until the "Green Mile" closing four holes where he had two bogeys. 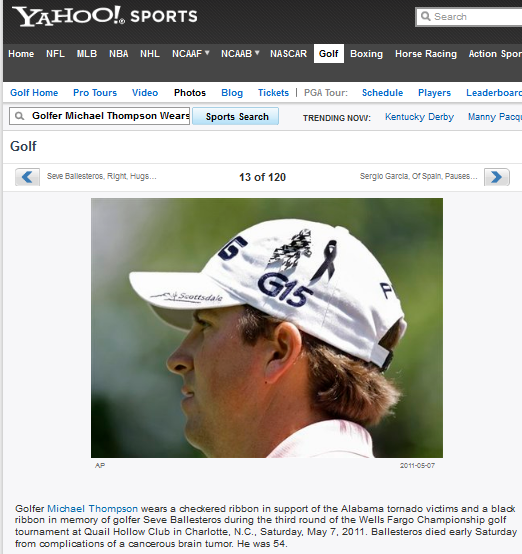 In the end Michael dropped a few spots but all in all the weekend was a success for him both golf-wise and personally as he helped raise awareness for the tornado victims in Alabama. Michael and his wife Rachel made some headlines this weekend after they made hounds tooth patterned ribbons to help raise awareness for the tornado victims in the home state of Alabama. As part of that campaign they were urging people to donate money to www.givetuscaloosa.com, a local charity helping with the recovery efforts. The ribbons were in evidence all weekend and were paired with black ribbons that players were wearing to honor the passing of Hall of Fame golfer Seve Ballesteros. Padraig Harrington walked over to the small basket on the bench inside the Quail Hollow locker room Saturday morning, pulled out a black ribbon and pinned it to his cap. The rumors had flashed across Quail Hollow on Friday afternoon following the revelation by the Ballesteros family in Spain that Seve's condition had deteriorated and, while the reports of Seve's demise were a few hours early, by 2:10 a.m. in his homeland Saturday, the end had come. It's been a big week for ribbons at the Wells Fargo Championship, a bittersweet thought. Michael Thompson, a tour rookie who played at the University of Alabama and lives in Birmingham, went with his wife, Rachel, to a local fabric store Monday and bought a swatch of black and white houndstooth cloth, the pattern of choice in the land of Bear Bryant. 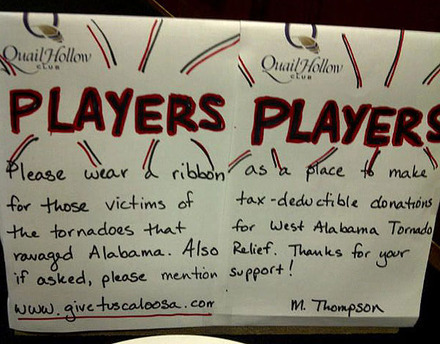 Thompson wanted to remind people that there are hundreds of people in and around Tuscaloosa, Ala., whose lives are still being pieced together by what the tornadoes left behind. Thompson and his wife cut and made the ribbons themselves and posted a handwritten sign beside the basket they placed on the same locker room bench last week. Many players obliged, pinning the ribbons onto their caps or collars, a nice gesture for a tour rookie many of them probably haven't met. On Saturday, black ribbons - to honor Ballesteros - were everywhere. It's difficult to overestimate the impact Ballesteros had on the game, particularly in Europe where it's been said often and accurately that he did for golf there what Arnold Palmer did for it here. Michael Thompson shot a three under par 69 during the second round of the Wells Fargo Championship to move into a tie for 37th and make the cut by two shots. Thompson had a lone bogey with four birdies including a birdie at the par four 18th hole which is consistently ranked the most difficult hole at the Quail Hollow Club in Charlotte, North Carolina. Michael starts his third round Saturday at 10:15am ET. He is paired with Jim Herman. CHARLOTTE, N.C. — The hounds-tooth pattern is a shout-out to the legendary Alabama football coach Bear Bryant. The sentiment behind the ribbons, though, is strictly for the thousands of people who were impacted by the devastating tornadoes that tore through the southeast last week. PGA TOUR rookie Michael Thompson decided to ask his fellow players to show their support by wearing the ribbons at this week’s Wells Fargo Championship. He’s a 2008 graduate of Alabama, which is in Tusacaloosa, one of the hardest hit areas, and he now makes his home in Birmingham. "I just thought it would be a great way, especially with it being a big event, to kind of open some eyes and keep everyone aware of what’s going on in Tuscaloosa, Alabama, and pretty much everywhere in the south," Thompson said. "It’s still really bad." So Thompson and his wife, Rachel, went to a fabric store in Charlotte Monday night and bought a yard of the black-and-white hounds-tooth material. They went back to the room and cut the fabric into strips, then folded them into ribbons and fastened them with pins. Thompson left the ribbons in a bowl in the locker room at Quail Hollow this week. 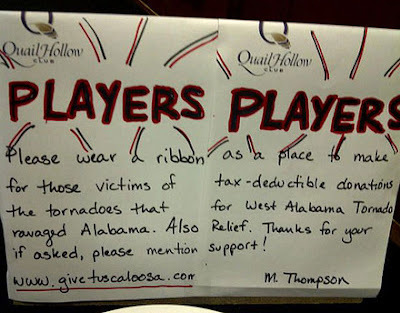 Beside the bowl was a hand-written note asking his fellow players to consider wearing them and making a donation to www.givetuscaloosa.com. "I’ve seen a lot of guys wearing the ribbons, which I’m happy about," Thompson said. "I actually need to make some more tonight." Thompson saw the devastation wrought by the twisters first-hand when he drove home to Birmingham after missing the cut at last week’s Zurich Classic of New Orleans. Along the way, he stopped in Tuscaloosa. "It literally looks like bombs went off," Thompson said. "It’s just like a whole line. It just keeps on going for miles and miles. I went to school there so a lot of those shops and shopping centers that were hit, I can remember going and hanging out with friends there; going to the bowling alley that was destroyed. "It’s just hard to imagine — something that big and that quick, the people there didn’t have enough time like a hurricane where you can leave and evacuate." Thompson was in school at Tulane when Hurricane Katrina cut a path of destruction across the Gulf Coast so last week’s tragedy hit even closer to home. "When I came back (to New Orleans after Katrina), the houses weren’t completely destroyed but they weren’t liveable," Thompson recalled. "That’s the way it is in Tuscaloosa and north of Birmingham. It’s just really sad." Thompson, who posted his best finish of the season when he tied for 14th in Puerto Rico, stopped a string of three straight missed cuts on Friday with a 69 at Quail Hollow. That means he’ll get his fifth paycheck of the season — and there will be a little extra cash to help the tornado victims. "Now that I’ve made the cut, and I’m really happy about that, I’m actually planning on donating some of my winnings," Thompson said with a big smile. "… It’s just a way for me to kind of get involved. I know the PGA TOUR is all about charity and this is a great way to get my career started with charity." Thompson said he and two other former Crimson Tide golfers, Jason Bohn and Dicky Pride, are talking about having a charity event in the fall. In the meantime, though, he’s happy to make more hounds-tooth ribbons. "Right now, it’s what can I do to help? There’s not a whole lot I can do physically," Thompson said. "But I know now that I’m on the PGA TOUR there’s a whole lot I can do financially and that’s what I’m hoping I can accomplish with bringing some awareness with these ribbons." 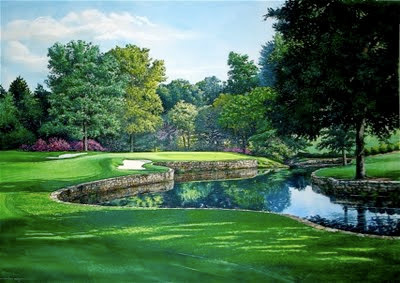 The Wells Fargo Championship kicks off today at the Quail Hollow Club in Charlotte, North Carolina. The photographers from golfwrx.com caught up with Michael Thompson on the driving range Monday. Here's the evidence! 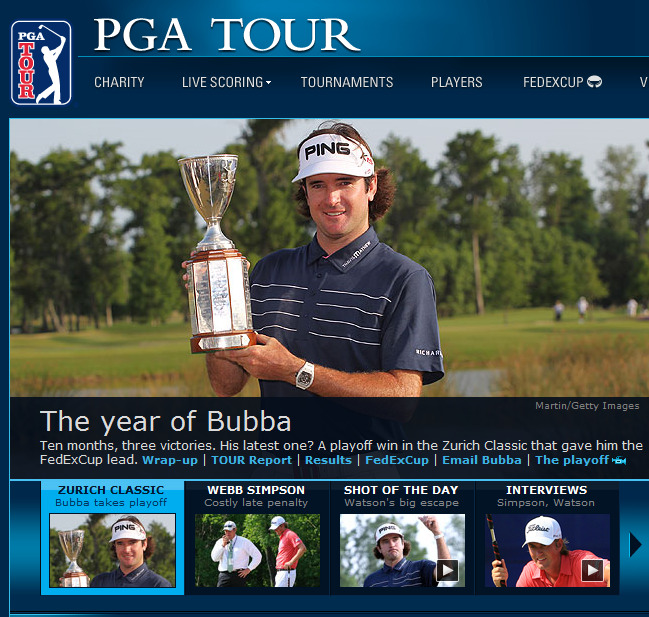 The Zurich Classic finished in dramatic fashion this weekend as Bubba Watson beat Webb Simpson in a sudden death playoff. It was the second win of the season for Watson. Things might have been different if the wind had been blowing a little less or the greens been a little slower. On the 15th hole during the final round, Simpson's ball moved slightly after he had grounded his club resulting in a one shot penalty. Simpson had a one shot lead at the time. The Zurich Classic wasn't kind to Michael Thompson either, who shot a 3 over 75 on Friday and missed the cut that fell at one under par. The PGA Tour moves on to Charlotte, North Carolina this week where the Wells Fargo Championship will be held at the Quail Hollow Club.